I'm a certified Waze-r now. 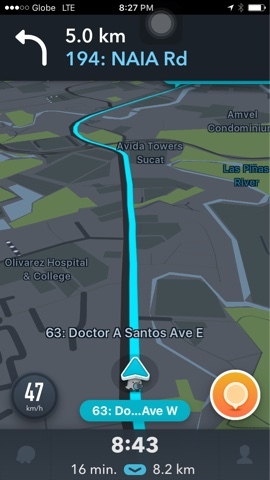 I'm loving the Waze app ever since I started using it with my own phone. 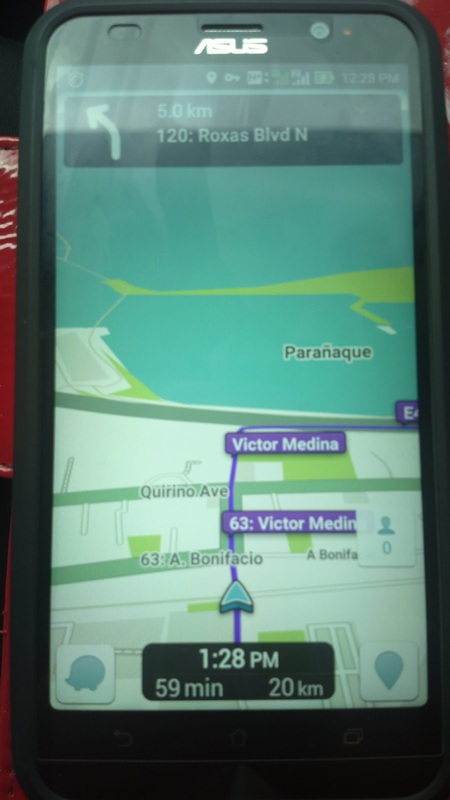 The image on the right is a photo of how Waze looks like when opened from an Android phone, the ASUS Zenfone 2; while the screenshots below are from an iOS device, particularly the iPhone 6s. 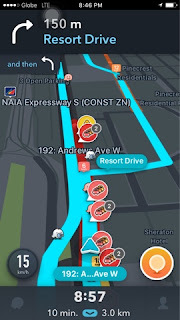 "With Waze, you either find new waze or it becomes a waze of time." Although I'm not much into finding places for food trips or road trips anymore these days and I prefer staycations instead, there are instances when there is a need to go out for family reasons, eating out, and to attend certain events such as when I attended Upwork's pre-Christmas party. The Waze app had been very useful during several instances. With the application, we were able to locate a certain bar/event place in Timog, Quezon City - a Metro Manila location we are not so familiar with and we rarely frequent; the same applies to Bonifacio Global City on several occasions. With the app, we were also able to locate a long lost sort of relative's home in UP Village, where we lived for a few years when I was younger. Speaking of BGC though, while we were able to locate certain locations such as Kidzania, the app lacks data for relatively new places like the confusing Serendra (which shows several hits on the app). But all in all, Waze really helps when it comes to locating locations in unfamiliar territories. 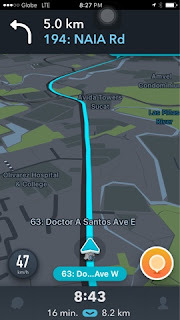 It also suggests routes with lesser traffic compared with the usual popular route (EDSA for one). You can also just check the app to view traffic situation in a certain area so you can choose an alternative route instead. Even TV news programs use this app for traffic reports (GMA News TV for one). Lastly, it offers short cuts you will not know unless you are from the area, thanks to data from previous users.